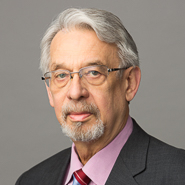 Firm partner, Donald W. Rupert, has co-authored an article published in The Federal Circuit Bar Journal. The article, entitled “Clarifying, Confusing, or Changing the Legal Landscape; A Sampling of Recent Cases from the Federal Circuit,” reviews Federal Circuit decisions relating to venue selection, declaratory judgments, licenses and the framework applicable to attorney opinions in patent matters. The Federal Circuit Bar Journal is published by the Federal Circuit Bar Association in cooperation with George Washington University School of Law. This is the second article that Mr. Rupert has had published in the Journal.